The Author Physics Dept. School of A.M.P.S. N.T.U.A. 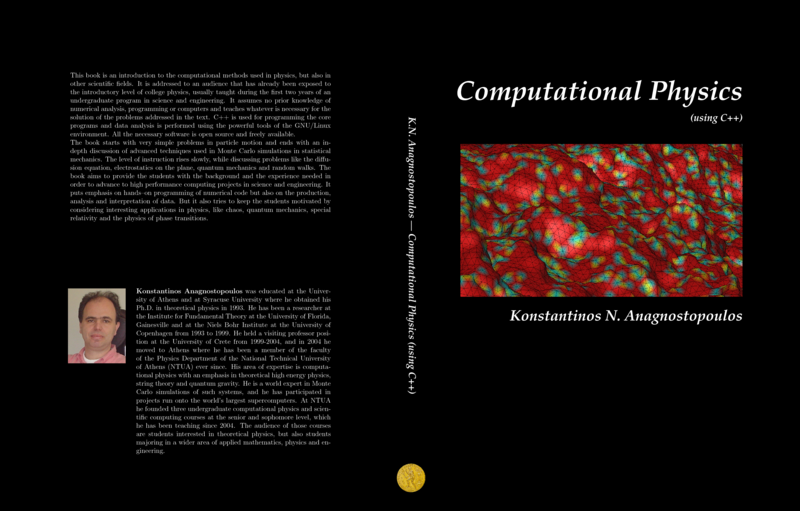 An introductory level book in Computational Physics/Scientific Computing by Konstantinos Anagnostopoulos. Available for free in several formats, to be read on your PC, tablet or your favorite e-reader. You may also print it for you, your friends or your class.